I'm finally free to update about what's happening 1 month (almost) ago! 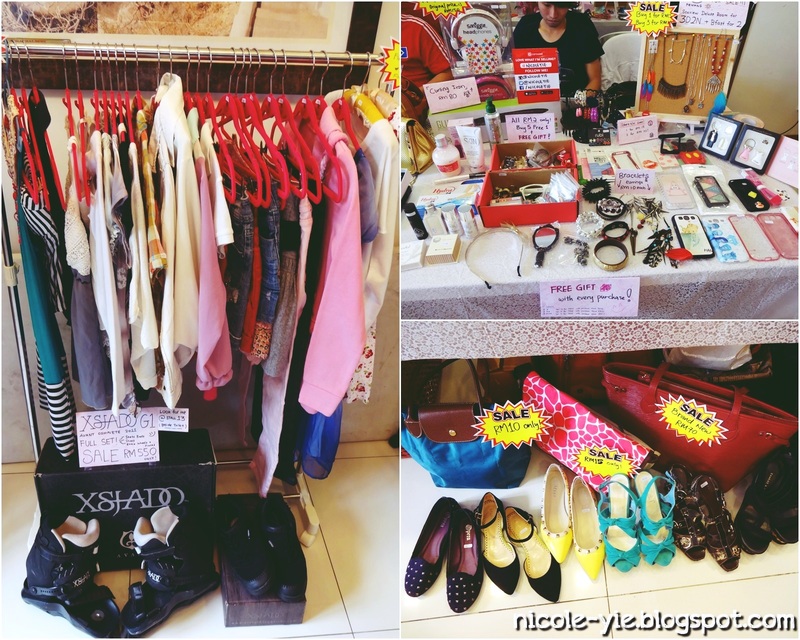 Yup, Carousell finally had their very first bazaar and it ended so successfully! So if you still don't know what's going on, read my previous post here now! So here's my booth at Day 1. The items are lesser while my sis was still not there with me yet. Selfie of Day 1 with mah all time favourite hairstyle. I was quite energetic on Day 1 because there are free Redbull provided. I only drank less than half and it stayed me awake until after the event and also after shopping at Ikea Damansara! My first time trying Redbull and I'm super impressed! More accessories, bags and shoes. Ignore my exhausted face (because no free redbull T.T). Thanks to the #JayZel (Jay and Hazel) came down all the way from Penang to help me out! Thanks to Zhen Liang for waking up so early to fetch me and help me out on the first day! Group photo with all the bloggers and vendors on 2nd floor! So, my thoughts? 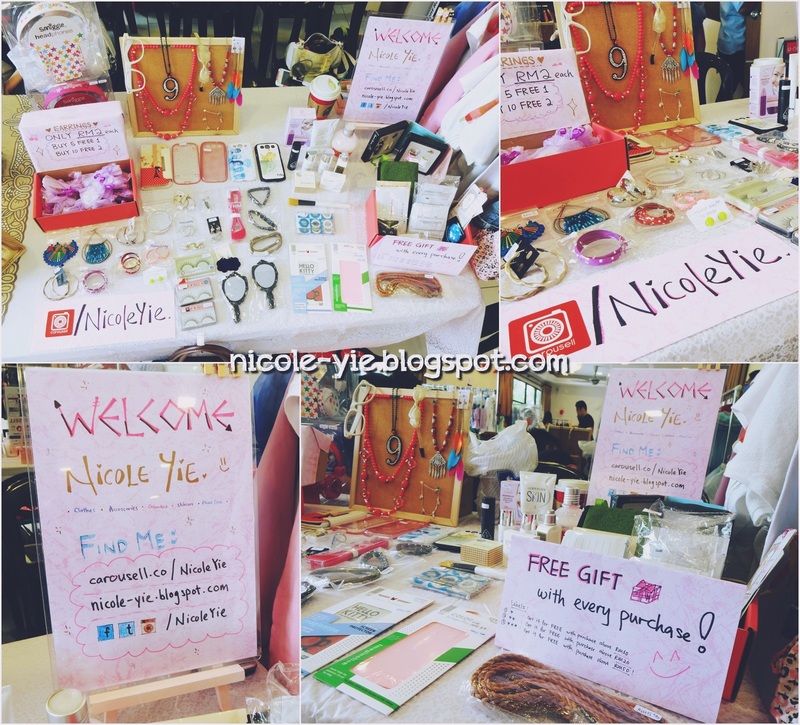 It's a great experience for being a vendor for the first time and it's not as easy as you think! 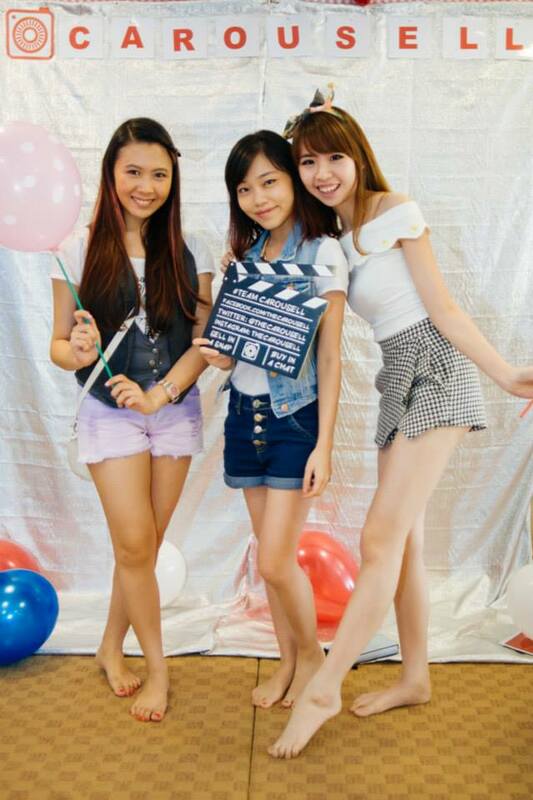 I'm glad I had my sister, Jay and Zhen Liang came to help me out! Really couldn't appreciate more for everything happened and all the helps from everyone in these 2 days! The Carousell Team had made a great job as well! Whoa! great experience. I was in Malacca that few days. I wish I could drop by to check out the event. Nevermind still have other chance babe!